Art storage and object storage require careful consideration. All housed collections require strategic planning to provide both long-term protection and access. Bark Paintings, scientific apparatus, costumes, books and artworks all require a specific storage solution depends upon the space they will occupy, their level of fragility, and how they will be handled. POD works with a flexible range of large object packing solutions to meet the needs of all your handling and storage challenges. We have 20 years of collection service experience and have worked systematically through museum collections to upgrade object storage, maximize usable space, and improve access. POD has provided improved collection storage for clients such as the Queensland Museum, University of Melbourne and Australian College of Dentistry. We know that your objects will be most at risk when they are being handled. With careful design and the extensive range of archival materials at our disposal we will design and fabricate a packing solution for your collection based on the individual needs of the object, access/storage parameters, and budget. Our collection service team members have training and experience in the safe handling of museum and art gallery collection objects. Both POD Directors have been involved in major Australian institution relocation projects and have built specialised skills as a result. 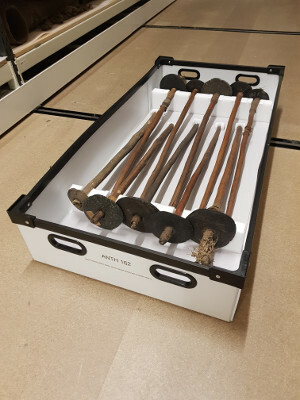 During 2017, POD developed storage and packing protocols for the Queensland Museum and trained local staff on care and handling. There is a range of good standard sized archival boxing solutions available to the museum professional. However, if you are looking to rehouse your collection in an existing storage facility or if space is at a premium, standard sized units can create more problems than they solve. As part of our collection services, we work closely with collection managers and curators to design and fabricate custom sized acid-free boxes for your collection items. You won’t need to reorganize your entire store to accommodate your newly housed objects. Your collection is safely protected, and your location codes need not be rearranged. Medium to large three-dimensional objects have their own storage and handling challenges. POD can provide custom fitted stillages or open frame support for storage and these objects. We provide these practical and affordable custom-made storage units to major collecting institutions nationwide. The open framework provides a solid perimeter around the object yet allows complete visual access to the item. Once installed by our staff using archivally sensitive materials where required, these units can be safely moved with minimum risk to the structural integrity of its contents. Stillage-supported objects can also be crated for further protection if required. At POD, our approach to crate construction, packing materials and methodology is based on years of experience collaborating with major collection-based institutions. 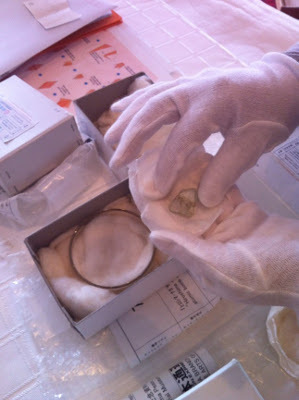 We understand and work to the exacting standards that conservators, registrars, and collection managers expect for art packing and art travel. Our staff will assess the art or objects on-site and make recommendations on the best art crate option. 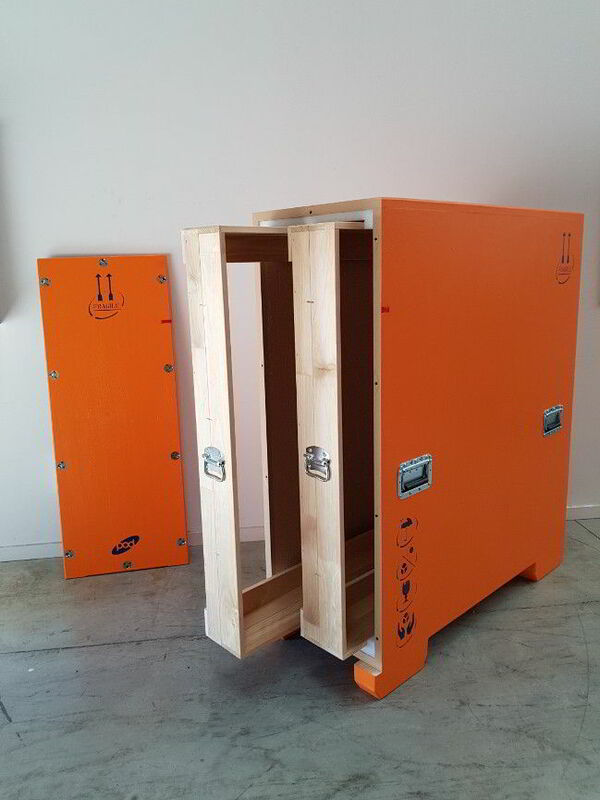 Art travel crate options vary in standard and price and include museum standard crates, relocation standard crates and light duty crates (for courier). POD produces custom-built crates and can also offer a crate rental service. Please contact us to discuss your requirements. POD crates are generally clad in a 9mm ply material, but this can be changed according to the client’s requirements. Polyethylene foams such as Zotefoam or Ethafoam provide the shock and vibration absorption. These foams are nitrogen or butane blown, so they will not degrade or release potentially damaging gas. All timber used in our products is kiln dried and supplied from an F.S.C, and ISPM 15 certified timber mill to meet international environmental and quarantine standards. See the Timber Certification for more information. ISPM 15 is a mandatory requirement for solid timber packaging and dunnage. It’s been mandatory in Australia since 2006 and is an International requirement for all exports from Australia. ISPM 15 was developed to address the global spread of timber pests by regulating the movement of timber packing and dunnage in international trade. It describes phytosanitary measures to reduce the risk of introduction and/or spread of quarantine pests associated with solid timber packing material. 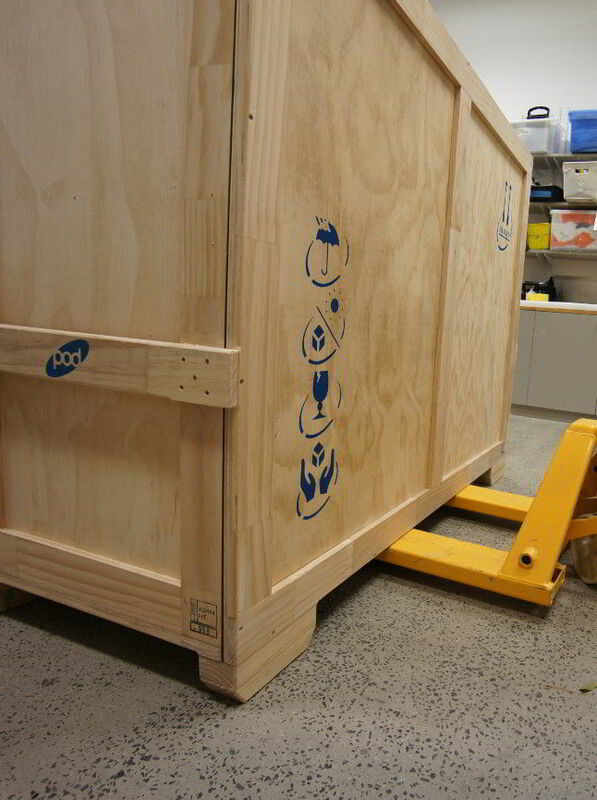 POD museum and Art Services is a registered AWPCS (Australian Wood Packaging Certification Scheme) supplier. POD uses only high-quality heat-treated Pinus radiata supplied by a registered AWPCS mill, and all POD products containing solid timber destined for international travel will be stamped accordingly. Protecting a collection can be done in ways that also protect forests and the environment. POD Museum and Art Services source all its solid timber from an F.S.C certified wood mill. The Forest Stewardship Council (FSC) is an international organisation founded in 1993 to develop standards based on the ‘10 Principles for Forest Stewardship’ by which responsible forest practice can be measured.